What are the main benefits of Lamplight over something like Access? It appeared in my inbox yesterday and (with permission) I’m going to try and answer it here, because in one way or another we get asked it fairly frequently. Appropriate technology. A bookmark is a great piece of technology if you’re reading a book. It’s less useful if you’ve got a Kindle. So, if you’ve got a paperback, use a bookmark; if you’ve got a Kindle, well, it does it for you. It might seem obvious, but sometimes after talking to potential customers, we’ll suggest that actually Lamplight isn’t the most appropriate technology for what they want to do. In some cases Access, or Excel (or the LibreOffice equivalents) or index cards, or whatever else will do just fine. Lamplight is hosted. The computers your data are stored on are in super secure data centres with backup power supplies, spare internet connections, auto-copying hard drives. In general they are going to be more reliable and more secure than the computer in your office. We do the technical stuff. We keep the server up to date, we do daily backups, we are constantly checking and updating the software. Lamplight is online – so you can access it wherever you’ve got web access. (Granted, this one raises other security issues – we’ve written at length about these and there’s a download). This also means it’s much, much easier to do some things, such as linking to your website. Lamplight is constantly getting updated, with new features, improvements, new modules, all in response to customer requests. You’re getting full-time development on your system included in your hosting fee. You own your data. You can download it whenever you want, and the hosting agreement is for a month, so you’re not locked into any long-term contracts. 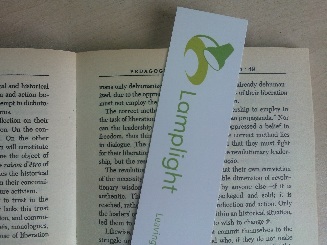 Lamplight is designed solely for the voluntary sector. The assumptions, language, and ideas that lie behind Lamplight are those of the voluntary sector. (Assuming you’ve had an Access database developed for you). But the main benefit? I’d say: Lamplight does a lot, if you need it to. The core system has a ton of features, and there’s a load of modules if you need it do more. Trying to replicate just a fraction of what Lamplight can do would cost tens of thousands of pounds. It would be difficult to replicate pretty much any of Lamplight for less than our hosting fees. What a waste.